Why The High Mark Up For Titanium? 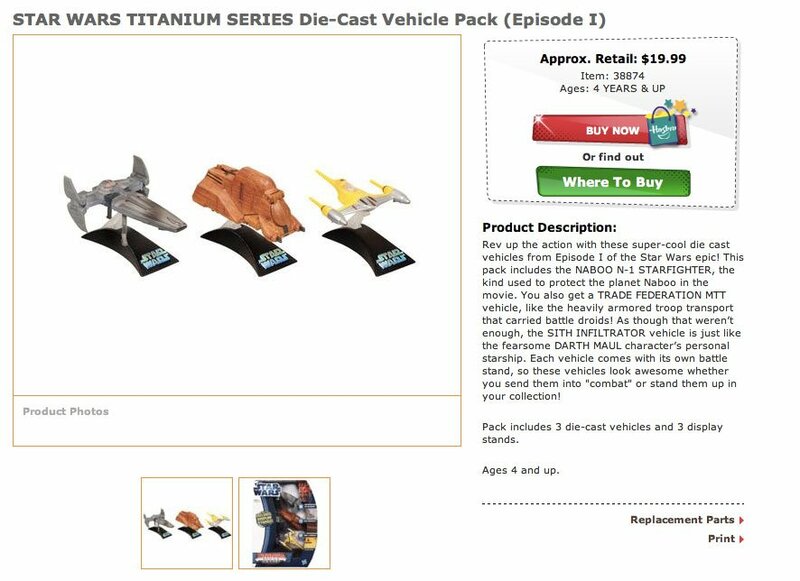 As we reported earlier, the new Titanium 3 Packs were found in Walmart for an astounding $29.96 each. This is almost a $3 upcharge for each vehicle from what they originally retailed in 2009. We did a little research and discovered that Hasbro's suggested retail price for these sets were a more reasonable $19.99. Walmart traditionally is the lowest priced big box retailer and we wondered whether this was a pricing error on their part since retailers determine their pricing and not Hasbro. But a quick browse over to ToysRus.com and we find Titanium for $26.99. Not as bad as the 33% markup at Walmart but still a considerable jump from the MSRP. While the Star Wars collecting internet is abuzz with the variances in pricing for The Vintage Collection figures, we ask why the higher mark up for Titanium?